Welcome to week two of Shadowmoor previews! Today I am going to introduce you to the first ever ultramegacycle minitheme. 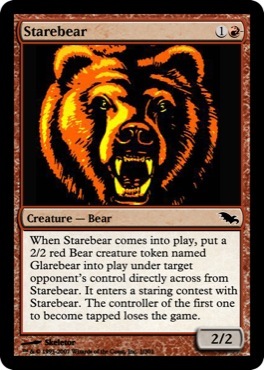 Shadowmoor has a minitheme of Bears, implemented as an ultramegacycle of common creatures: The Nonrarebear cycle. 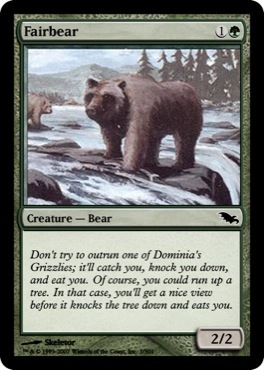 As you know, 2/2 creatures for 2 mana are often players favorite creatures, and they are also the easiest things in the world to design. 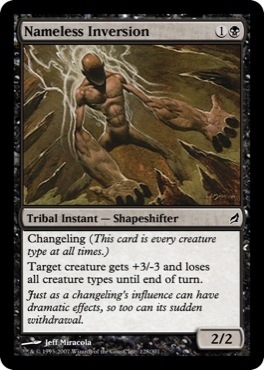 Basically what happened here was we ran out of names and ideas simultaneously, so we randomly selected an existing card to expand into an ultramegacycle minitheme. It’s not that there aren’t more ideas or names to be thought up, it’s just that we don’t care anymore. 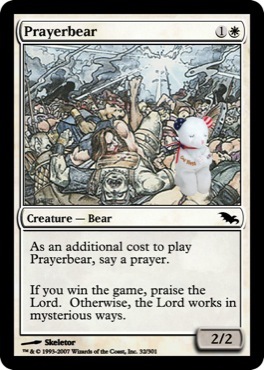 Without further ado, let me introduce to you the first member of the new family of Nonrare Bears. Exciting, isn’t it? Right? 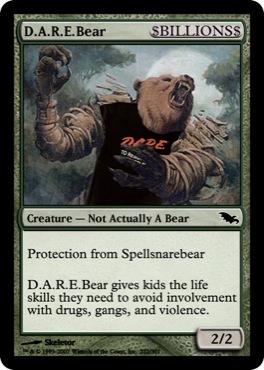 Well, maybe that’s why we spoil rares instead of commons. 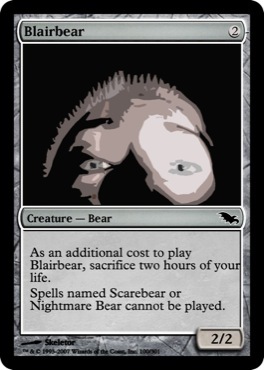 That’s why this week I have decided to spoil 10 commons from the nonrarebear ultramegacycle minitheme. 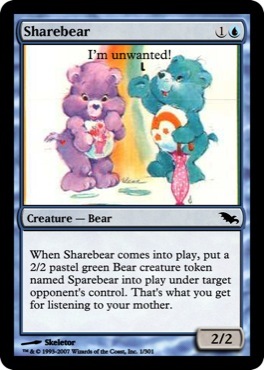 Until next time, may all your creatures be 2/2s for two, and may all your google image searches for “Underwear Bear” have safe search turned on. Seriously.